Ann Shelton Beth, “Wave Energy,” oil on canvas. Spotlighting the work of four artists—Ann Shelton Beth, Jennifer Boswell, Tanya Lozano and Helle Sharling Todd—In Living Color is on view at MichaelKate Interiors & Art Gallery (132 Santa Barbara St. Santa Barbara) from Jan. 18-Mar. 10, with a reception on Friday January 18, from 5 – 8 p.m. Meet the artists at the reception and hear them speak about their work at the 6 p.m. artist talk. “The works in this show are mostly based on nature, specifically, the south and central coast. Some pieces more abstract than others, the artists use color and expressive brushstrokes to convey their decisive responses to our beautiful and sometimes ominous natural world,” writes Jan Ziegler, curator of art at MichaelKate. 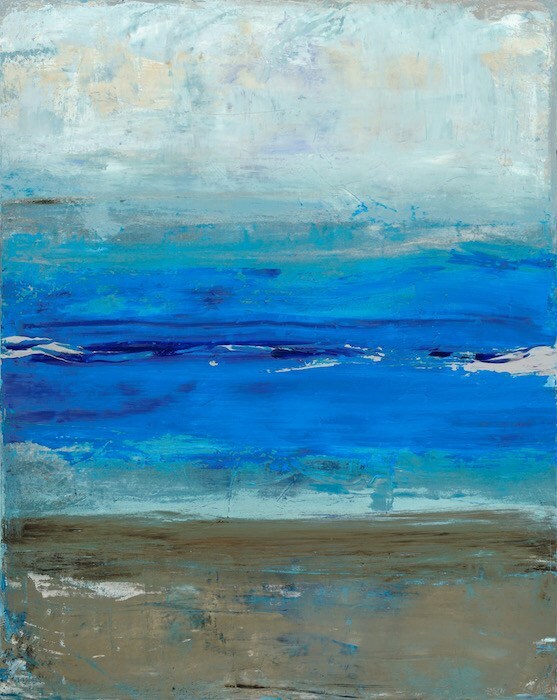 Tanya Lozano, “Beach,” acrylic on canvas. 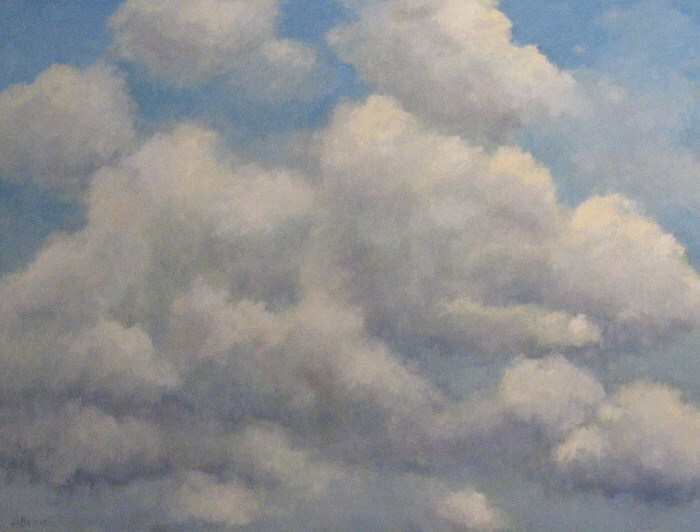 Jennifer Boswell, “Up in the Air” Series Eight 1A. MichaelKate Interiors is open from 10 a.m. to 6 p.m. Monday – Saturday, 11 a.m. to 5 p.m. on Sundays. Closed Wednesdays. For more information, please call 805/963-1411. Originally published in Santa Barbara Seasons on January 16, 2019. Fisherman on the Malecon, Havana 2002, 40 x 40 archival pigment print, by Nell Campbell. Don’t miss Nell Campbell‘s collection of photographs from her travels to Cuba. 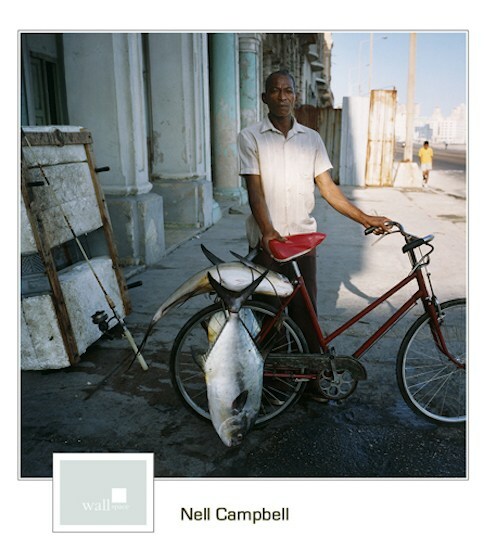 The exhibition, Nell Campbell: Portrait of Cuba, is on view at wall space at the Waterline Shops (120 Santa Barbara St., Santa Barbara) through August 31. There will be an artist’s reception on Wednesday, August 22, from 6-8 p.m. at the gallery. wall space at the Waterline Shops is open Sunday-Thursday from noon to 8 p.m. and Fridays and Saturdays from noon to 9 p.m. Originally published in Santa Barbara Seasons on August 21, 2018.